Connecticut, The land of Steady habits, is the one of the wealthiest states of the Nation. The Dutch State is among the smallest states of the nation, but also boosts of featuring the highest per capita income. Consistent Foreign Immigrations have resulted in gradual increase in population census every year with a large percentage of Protestants and Roman Catholics in the State. With an overall GSP of $237 billion and per capita income of $54,117, Connecticut is the highest paying state in the whole nation. The state has 9% unemployment rate with prominence of aircraft, agricultural and technological industries in the state. The Connecticut state has established high standards when it comes to evaluating the health status of the state. The infant mortality and teen death rates are comparatively very low and the level of obesity in the state is also very low than the rest of the nation. There is a shortage of nurse assistants on various job posts and registered nurses are the most in demand nursing professional with over 36000 vacancies in the Connecticut State. HRSA suggests that the state can face a nurse crisis by 2020, as the demand and vacancies trice up every year by a considerable margin. Connecticut State Board of Nursing is the administrative and regulatory body, concerned with the promotion and enforcement of the laws and policies related to nursing in the state. 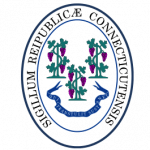 The board of nursing works under the federals laws and regulation and the Department of Public Health in Connecticut keeps an eye on working of the Connecticut Board of Nursing. What are the various job responsibilities of the Connecticut Board of Nursing? The motto of the State’s board of Nursing is “Keeping Connecticut Healthy”. The Connecticut board of nursing is responsible for all the deeds and decisions related to the nursing programs in the state. The Board ensures the maintenance of standards in medical service in the state. The basic responsibility of the Connecticut Board of Nursing is to ensure safety of public health and safe and quality medical practice in the state. The Board also keeps the archives of the vital records and periodic health statistics of the state.